This is our largest group ride of the week and one of, if not, the largest weekly group ride in Portland. Ride distances vary from just over 30 to 50 miles and we typically alternate weeks between relatively flat to rolling routes and routes with some real climbing thrown in. Each week we ride a different route and have designated ride leaders for every group to make sure we all stay on course on safe. Our Tuesday and Thursday rides are a great way to get a ride in with a smaller group (as compared to the 100-150+ riders who show up for the Saturday ride). All routes start at Wilshire Park in Northeast Portland and venture out towards and around the Vancouver area for 30-45 miles. Like all our club-sponsored rides, no one gets dropped, ever. And we regroup often, including a coffee and snack stop as time allows. Portland Velo does not officially sponsor public event rides, however, throughout the year we gather as a club and participate in “event rides” such as Monster Cookie, Reach the Beach, Oregon Gran Fondo, Mt Adams Country Tour, Bridges to Breakers, Oregon MS 150 and many others. We use both our website and the club Facebook page to announce which rides we’ll do “as a club”. Some rides, such as Monster Cookie, can see as many as 75 members participating! 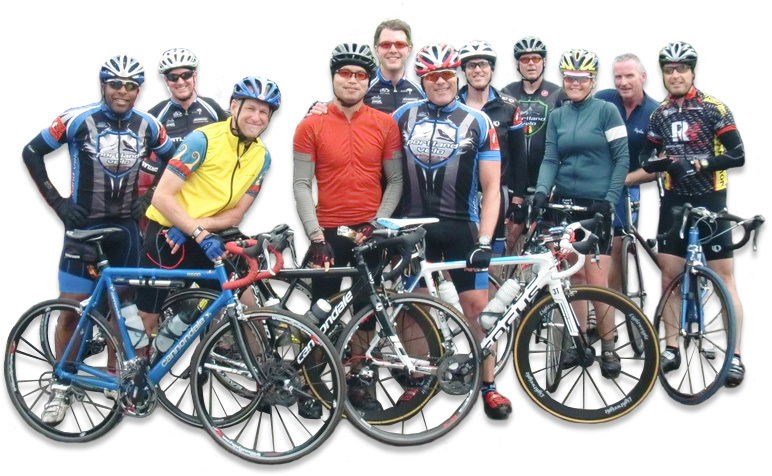 We also kick the New Year off with a big ride from Western Bike Works on Jan 1st every year. No matter the weather this ride always has a great turnout in anticipation of the amazing pre/post ride breakfast served up. At this time Portland Velo does not allow E-Bikes or powered assisted bikes as part of Portland Velo rides.